It wasn’t easy living in my house this past weekend. There were no early Valentine’s Day celebrations. I snapped at my family and slammed doors. I was tired of the demands and expectations that come with the job of mothering. My frustrations were exacerbated by late nights waiting up for (babysitting) teens, the sacrifice of a full Saturday to my husband’s project, and the consumption of an entire Sunday by an infected computer. I cried. My head pounded. My jaw tightened. I considered submitting my resignation. I mentally flogged myself for the consideration. Then, I pondered the absurdity that I might be expected to hire my replacement before I left. These were not my finest moments in motherhood. The truth is, I don’t want to be replaced. The truth is, I can’t sleep well until my munchkins are home so I chose to stay up. The truth is, I love spending time with my husband and was glad to help him. The truth is, I felt empowered after restoring the family computer. And, the truth is, I was tired, just plain tired, and I didn’t ask for help before I desperately needed it. I am known to have high expectations–just ask my homeschooled kids. My highest expectations are reserved for myself. I am commonly referred to as a “Type A” personality, a label I don’t deny. I enjoy being a “go-getter,” unafraid of challenge and hard work. Additionally, when I see a need, either inside my home or out, I gladly make room on my plate to help. I know that when I give to my husband, my children, friends, or my community, I am really giving back to myself. I want to teach my daughters compassion, generosity, kindness, and hard work through example. I’m also inclined to believe I can be “Superwoman.” Like I said, I have high expectations, and I can be unforgiving of myself when I feel I have fallen short. Then came my epiphany. In my search for answers, I need only look at the previous weeks on my calendar. I mentally confessed that I was ultimately responsible for my frustration. The answer was hidden in what I didn’t find–time for myself amidst a sea of commitments and chores. Like most moms I know, I regularly make two critical errors: I don’t give myself permission to take a break, and I forget that I am not “Superwoman.” Somewhere along the motherhood road, I wrote “no breaks” into my mothering job description. So, I push and I push until I screech for help like a car’s failing brakes. I grow impatient with myself and direct it at my the ones I love most. I surrender, reluctantly, to my very human fatigue. My family, who has been standing at the ready, waiting to help, jumps into action. They clean. They tell me to rest. They support and love me. Then, I bury myself with guilt for my transgressions. I remind myself to simply say what I need before it gets to that point again. Does this sound familiar to anyone else? As I re-evaluated the course of the weekend, I clearly saw a pattern. I also saw the lesson I am really teaching my daughters. We remind our children to ask for help when they need it. We encourage our husbands to go to bed early when they look tired. We nudge our girlfriends to treat themselves to a massage or mani/pedi when stressed. We praise the people we love when they take care of themselves. How often, though, do we give ourselves permission to do the same? I read several books during my early mothering years. Many mentioned “sleeping when the baby sleeps.” But what about the years beyond regular naptimes? We give our vehicles regular maintenance to keep them running well. Companies give vacation time to maintain employee productivity. Even bulbs go dormant in winter when resting up for their spring show. As mothers, we are emotionally , and sometimes physically, “on the clock” 24/7–roughly 157,680 hours by the time a child turns 18. 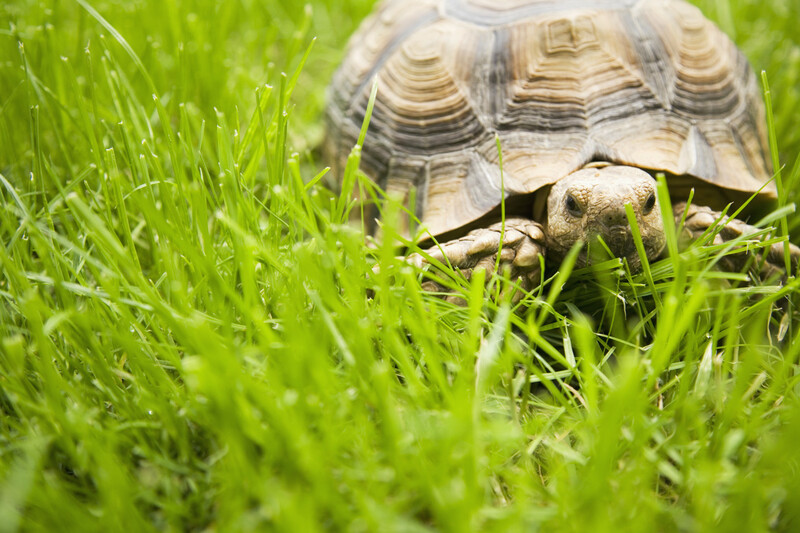 In the story of the tortoise and the hare, the tortoise wins the race because he paces himself, slow and steady. Parenting is a marathon race with a plethora of opportunities to burn out. The hours certainly merit slow and steady pacing to cross the finish line. At dinner last night, I shared my thoughts with my family, as well as my apologies. I acknowledged where I needed help and asked for it. We have planned two Valentine’s Day “do-over’s” for the weekend ahead–one with the family, one with my husband. There is no need for flowers, cards, or chocolate; I already received my gift. In return, I can give them a wife and mother that takes this road slow and steady, with time to recharge herself, free of self-inflicted guilt. On this day after Valentine’s Day, consider giving yourself and your family the gift of self-care. What a beautiful example of a perfect Valentine’s Day gift AND it doesn’t die in a week! Great blog!